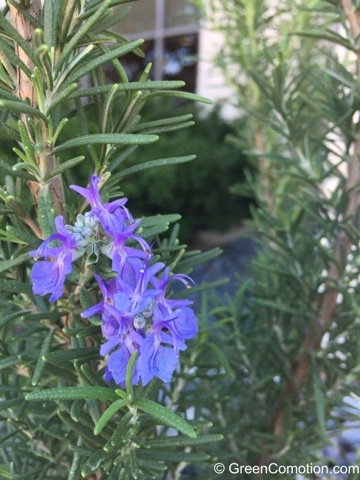 My first-ever sighting of Rosemary flowers. Rosemary seems to favor the hot and dry North Texas weather. Update on kitties: Chako and Black Kitty are doing well. Thanks for all your well wishes. My rosemary is flowering inside a south facing window. It is waiting for summer to head back outside! Actually, Rosemary grows well also in coastal Southern California AND in Ocean Shores, WA, so it isn't too picky. Deer seem to leave it mostly alone in Ocean Shores, so it is prominent in OUR garden. True? My parents have tonnes of it and it flowers regularly. Maybe it acts differently where you live. Bees and hover flies like the flowers. Beautiful plant. Both the plant and photo are very nice. It is pretty. Are you growing it for the cooking herb? I'm glad your kitties are OK.